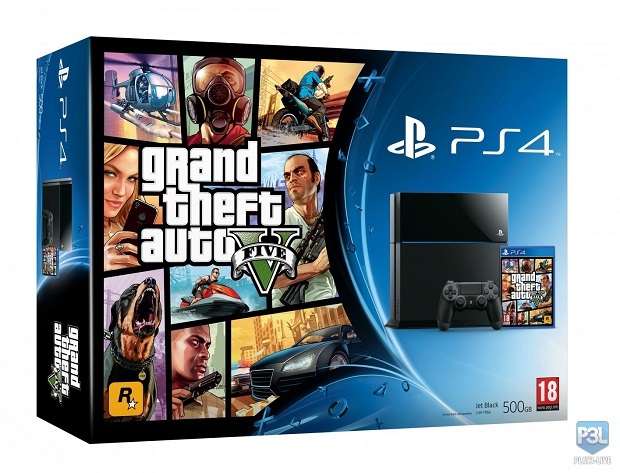 After an initial leak the Grand Theft Auto V PlayStation 4 bundle appears to be real as images of the bundle appear online. P3L has acquired images of two bundles, one including Grand Theft Auto V with the standard black version of the PlayStation 4, while one contains the Glacier White version that initially launched as part of a Destiny bundle. Confirmed earlier this year during Sony’s E3 press conference, the current-gen version of Grand Theft Auto V is coming to PlayStation 4 and Xbox One on November 18th and PC on January 27th. Recently, details about the updated versions have been trickling out, including the addition of a first-person mode and motion controls. For more on Grand Theft Auto V, check out Gaming Trend’s review.